Fenerbahce took control of the series behind a stellar defensive performance, beating Zalgiris 76-43 on Tuesday. It was the largest EuroLeague Playoffs win in Fenerbahce history and the fourth largest all-time, while Zalgiris set a club low for points scored in a EuroLeague game. Fenerbahce used a 15-2 run to end the second quarter and take a 38-21 halftime advantage from which it never looked back. Nikola Kalinic led Fenerbahce with 16 points, Marko Guduric had 13, and Erick Green netted 12 points in victory. Marius Grigonis was the only Zalgiris scorer in double figures with 10 points. Big men Brandon Davies and Jan Vesely put together great regular seasons, but were non-factors in Game 1. Expect them to bounce back and provide an inside boost for their respective teams. During the regular season, Davies was fourth in the EuroLeague in scoring (14.4 ppg. ), sixth in PIR (17.5) and led Zalgiris in rebounding (5.7 rpg. ), but had just 3 points and 4 rebounds in the series opener. 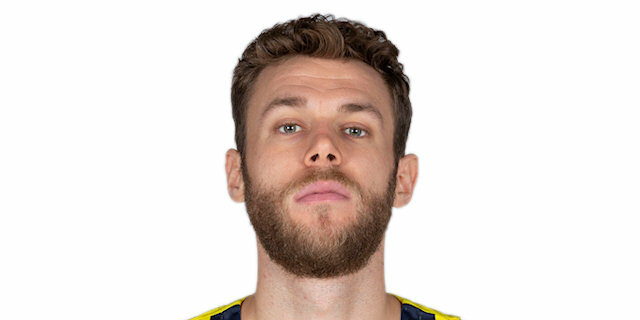 Vesely led Fenerbahce in the regular season with 13.0 points and 5.4 rebounds, while also averaging 2.4 assists and EuroLeague third-best 1.5 steals and a PIR of 19.3. However, in Game 1 Vesely played less than 10 minutes, did not score a field goal and had fewer points (2) and rebounds (2) than turnovers (3) and personal fouls (4). As Zalgiris head coach Sarunas Jasikevicius pointed out after the Game 1 loss, his team needs to find a way to answer Fenerbahce’s physicality. Zalgiris will need to take better care of the ball after committing 23 turnovers in the series opener. The visitors must also knock down some shots. Despite Fenerbahce's defense, Zalgiris did find a bunch of open looks, but made just 3 of 16 three-point shots (18.8%) and will need to do much better than that to get a chance to win this contest. "It's playoffs time, and it's simple to understand that we need to forget everything about Game 1 so we can be focused an ready for Game 2. Everything we thought about Zalgiris before the first game does not change. they have quality and character and I am sure they will want to show everyone what they have inside. We have to be ready and forget Game 1." "It will be a tough game. They will come back strong after the tough loss in Game 1. We have to be ready and it will be a different game. We have to put in the intensity and be ready for them to play a different game." 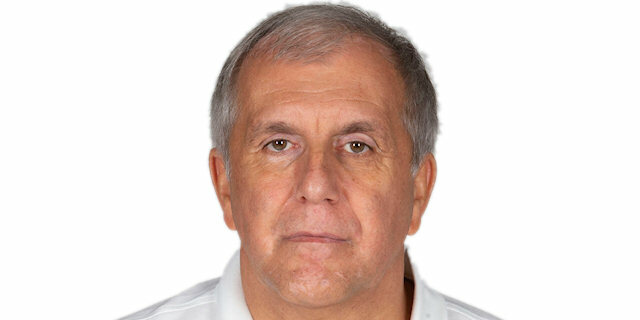 · Fenerbahce improved its record against Zalgiris this century to 13-5 with its Game 1 victory. Fenerbahce triumphed 76-43 in Tuesday's game with Nikola Kalinic scoring 16 points. · This season Fenerbahce swept the regular season series, first winning 75-82 in Kaunas in Round 3 behind 20 points from Kostas Sloukas and then triumphing 78-61 in Istanbul in Round 18 with Sloukas and Melih Mahmutoglu scoring 14 points apiece. · Fenerbahce and Zalgiris met in the 2018 EuroLeague Final Four semifinals last May with Fenerbahce coming out on top 76-67 behind 19 points in 12 minutes from Ali Muhammed. Luigi Datome had 16 points and a career-high 3 blocks. · Zalgiris swept the then-called Ulker Genclik in the best-of-three eighthfinals playoffs back in 1999. Zalgiris went on to win its only EuroLeague title that season. · In Game 1, Fenerbahce allowed 43 points, the lowest it ever allowed in a EuroLeague game. For Zalgiris, 43 points were its lowest single-game total this century. · Zalgiris head coach Sarunas Jasikevicius played for Fenerbahce during the 2010-11 season and helped the team win the Turkish League and Cup double. · Jasikevicius played at Panathinaikos for four seasons under current Fenerbahce head coach Zeljko Obradovic, from 2007 to 2010, and then in the 2011-12 season. The two won the 2009 EuroLeague title together. · Zalgiris guard Nate Wolters and Fenerbahce swingman Marko Guduric were teammates at Crvena Zvezda mts Belgrade during the 2016-17 season. · Joffrey Lauvergne of Fenerbahce and Leo Westermann of Zalgiris were teammates at Partizan Belgrade for a season and a half, from 2012 to 2014. They have also been teammates on the French national team and together they won bronze medals at EuroBasket 2015. · Ahmet Duverioglu set a new career high with 7 rebounds in Game 1. · Kostas Sloukas delivered a career-high 11 assists in Fenerbahce's 82-68 win over Zalgiris in October 2016. He matched that tally twice during last season's playoff series. · Fenerbahce playmaker Ali Muhammed posted his career high in rebounds with 9 playing for ASVEL Villeurbanne against Zalgiris in October 2009. · Nicolo Melli set a career-high with 5 steals in the EuroLeague Final Four semifinal win over Zalgiris last May in Belgrade. · Luigi Datome matched his career-high with 3 blocks in EuroLeague Final Four semifinal win over Zalgiris last May in Belgrade. · Nate Wolters scored a career-high 23 points in the Round 3 loss this season. Wolters also had a career-best 3 steals playing for Crvena Zvezda mts Belgrade against Fenerbahce in December 2016. · Jan Vesely, who entered the season as a career 56.2% free throw shooter, is 99 for 122 (81.1%) from the foul line this season.